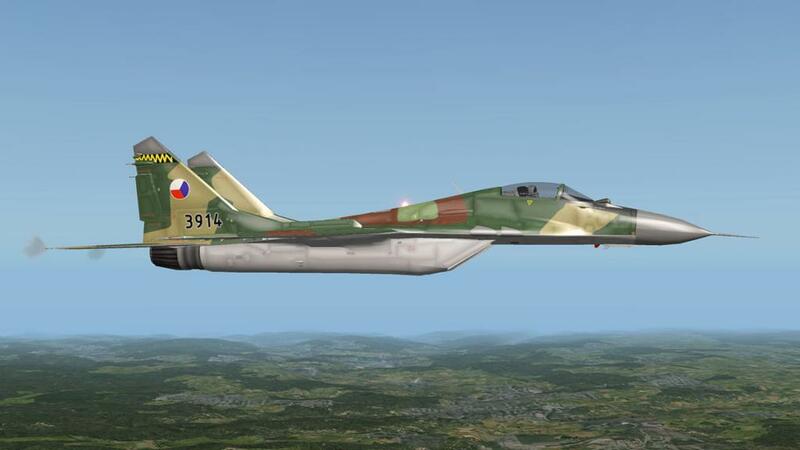 Created as a Cold War intercepter, the Mikoyan MiG-29 (Russian: Микоян МиГ-29; NATO reporting name: "Fulcrum") was a direct Soviet reference to combat the new American fighters such as the McDonnell Douglas F-15 Eagle, and the General Dynamics F-16 Fighting Falcon. Known as a Fourth Generation fighter, It was really a bit of a third generation as well as it had no fly-by-wire or flight protection control. 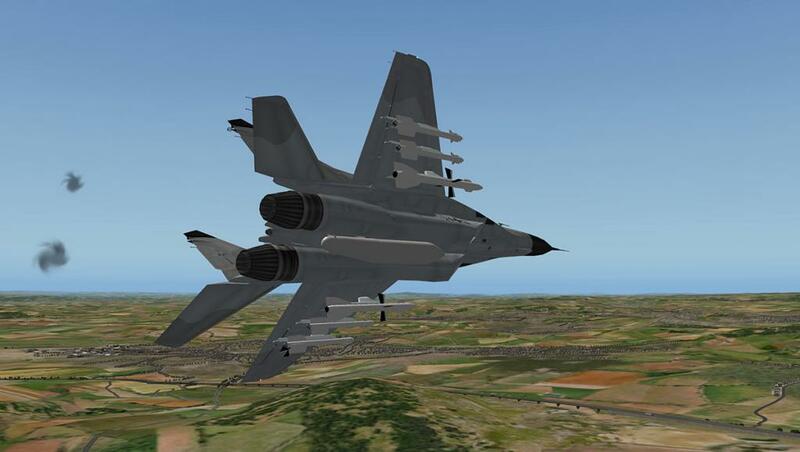 It was built in conjunction with the Sukhoi Su-27 (Flanker) and although slightly out manoeuvred by the F-15, The Mig-29 was certainly above the F-15. 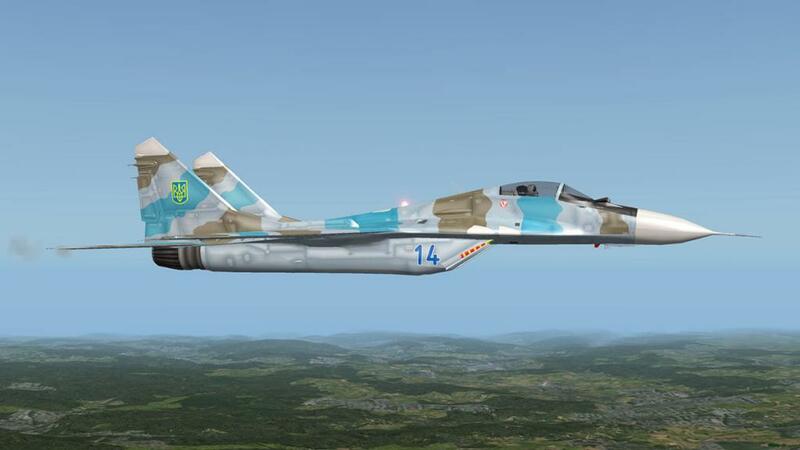 The western Allies found this fact out after the end of the Cold War In 1997, when the United States purchased 21 Moldovan aircraft under the Nunn–Lugar Cooperative Threat Reduction program. 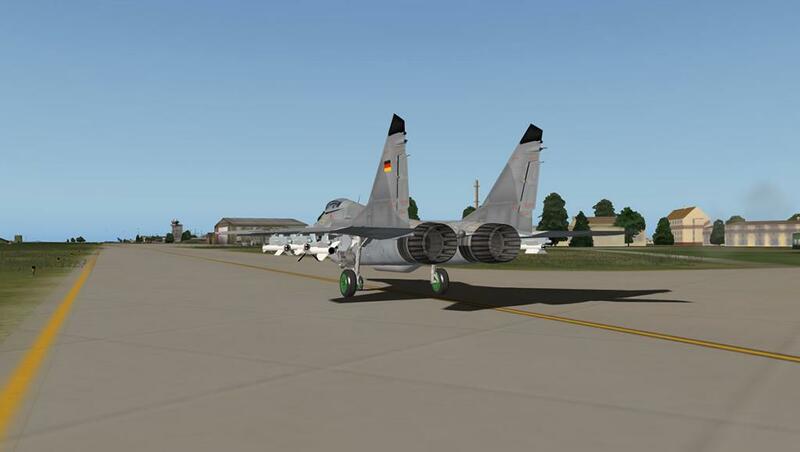 Fourteen were MiG-29Ss. And the Western counterparts were quite shocked to find out how effective the aircraft was in air combat training. 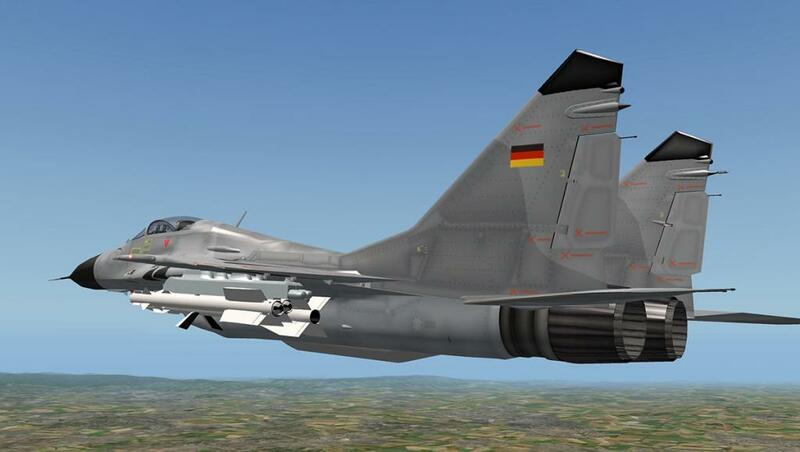 It had formidable armaments on fitted the MiG-29 which includes a single GSh-30-1 30 mm cannon in the port wing root. This originally had a 150-round magazine, which was then reduced to 100 rounds in later variants. 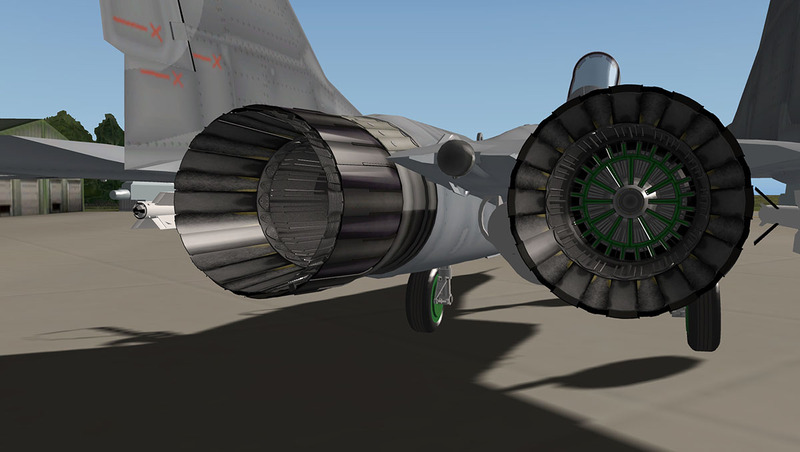 Original production MiG-29B aircraft cannot fire the cannon when carrying a centerline fuel tank as it blocks the shell ejection port. This issue was corrected in the MiG-29S and later versions. Three pylons are provided under each wing (four in some variants), for a total of six (or eight). The inboard pylons can carry either a 1,150 liter (300 US gal) fuel tank, one Vympel R-27 (AA-10 "Alamo") medium-range air-to-air missile, or unguided bombs or rockets. 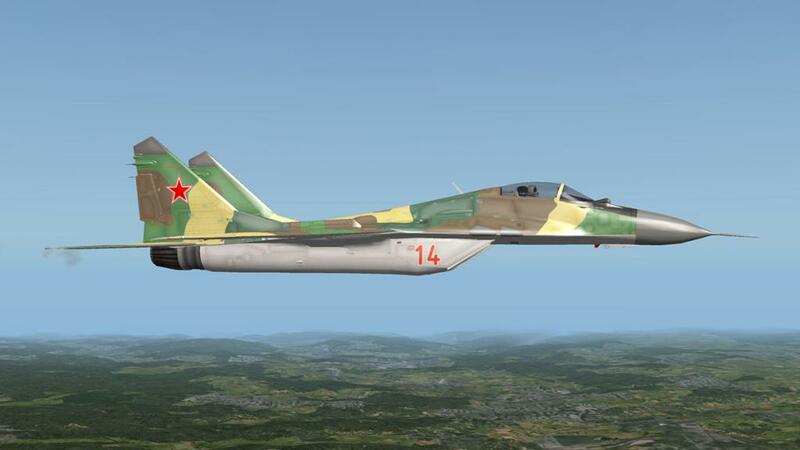 Some Soviet aircraft could carry a single nuclear bomb on the port inboard station. The outer pylons usually carry R-73 (AA-11 "Archer") dogfight missiles, although some users still retain the older R-60 (AA-8 "Aphid"). A single 1,500-litre (400 US gal) tank can be fitted to the centerline, between the engines. 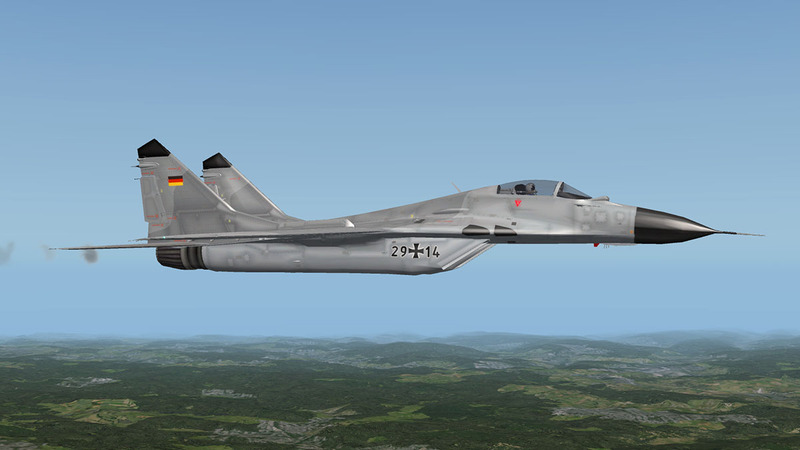 The baseline MiG-29B has a Phazotron RLPK-29 (Radiolokatsyonnui Pritselnui Kompleks) radar fire control system which includes the N019 (Sapfir 29; NATO: 'Slot Back') look-down/shoot-down coherent pulse-Doppler radar and the Ts100.02-02 digital computer. Tracking range against a fighter-sized target was only about 70 km (38 nmi) in the frontal aspect and 35 km (19 nmi) in the rear aspect. The MiG-29 is powered by two widely spaced Klimov RD-33 turbofan engines, each rated at 50.0 kN (11,240 lbf) dry and 81.3 kN (18,277 lbf) in afterburner. 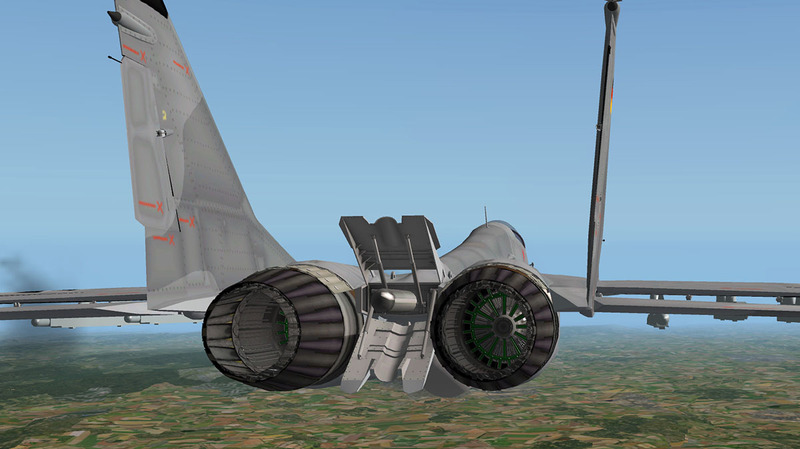 The space between the engines generates lift and thereby reducing effective wing loading to improve maneuverability. 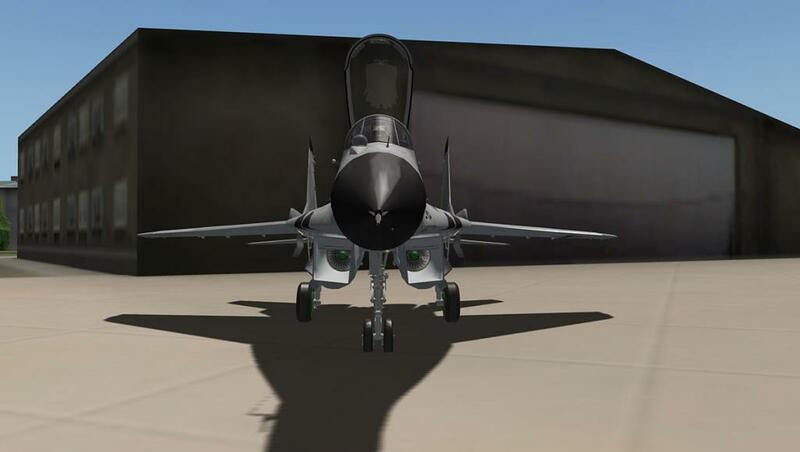 The engines are fed through wedge-type intakes fitted under the leading-edge extensions (LERXs), which have variable ramps to allow high-Mach speeds. 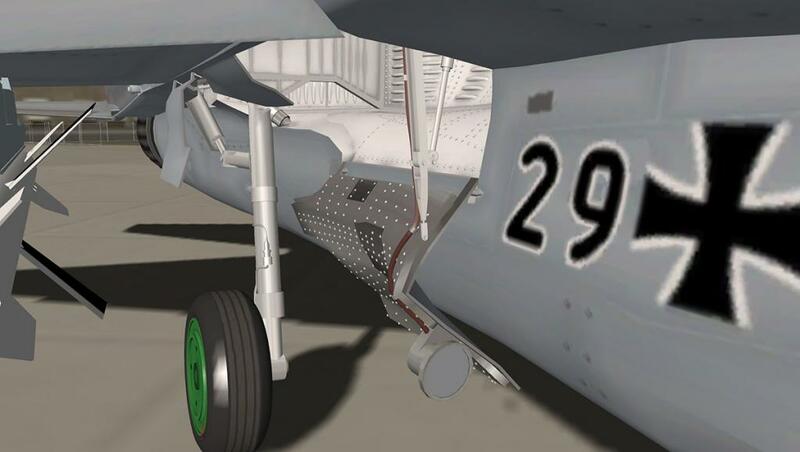 As an adaptation to rough-field (gravel) operations, the main air inlet can be closed completely and alter using the auxiliary air inlet on the upper fuselage for takeoff, landing and low-altitude flying, preventing ingestion of ground debris. 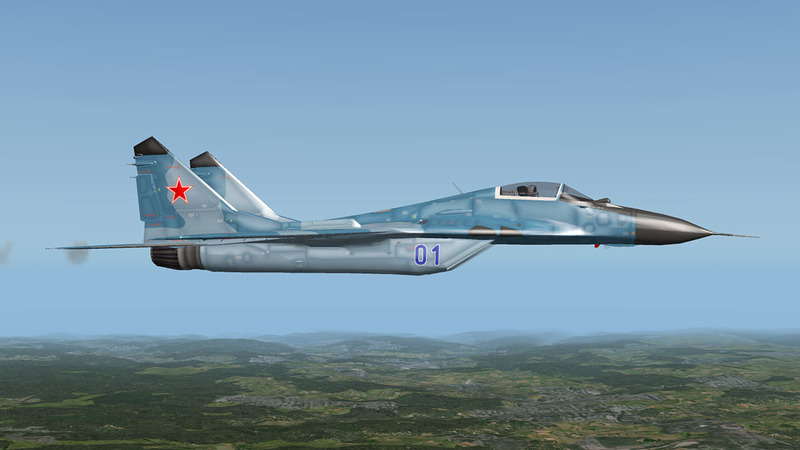 Sharing its origins in the original PFI requirements issued by TsAGI, the MiG-29 has broad aerodynamic similarities to the Sukhoi Su-27, however, there are some notable differences. 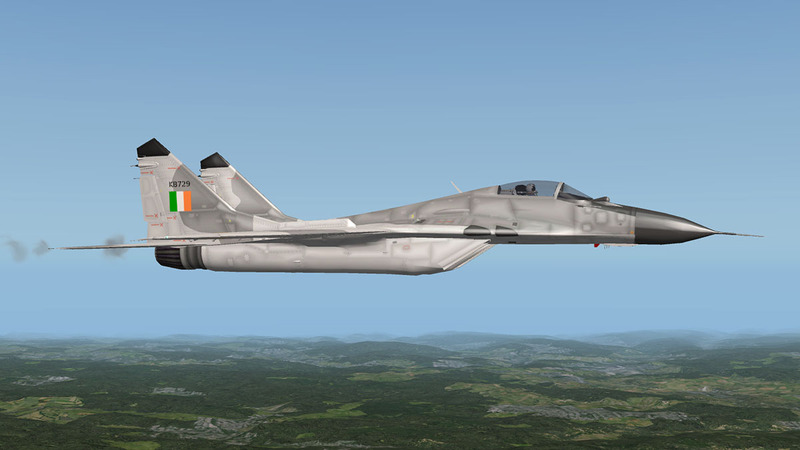 The MiG-29 has a mid-mounted swept wing with blended leading-edge root extensions (LERXs) swept at around 40°; there are swept tailplanes and two vertical fins that are mounted on booms outboard of the engines. Automatic slats are mounted on the leading edges of the wings; they are four-segment on early models and five-segment on some later variants. 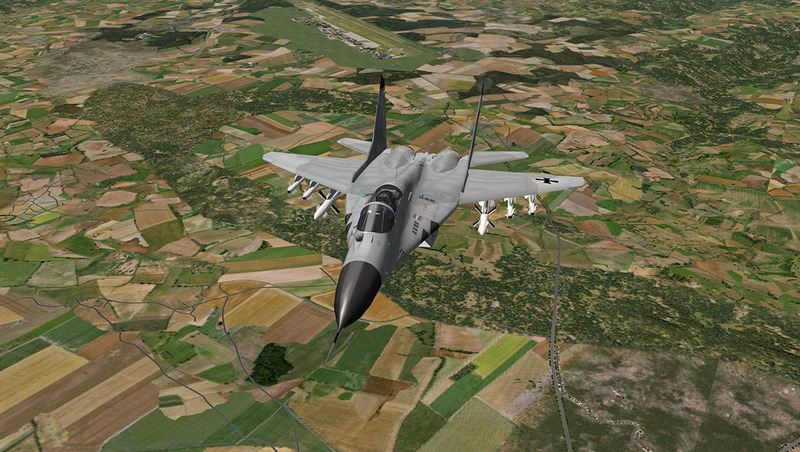 Situated on the trailing edge there are maneuvering flaps and wingtip ailerons. 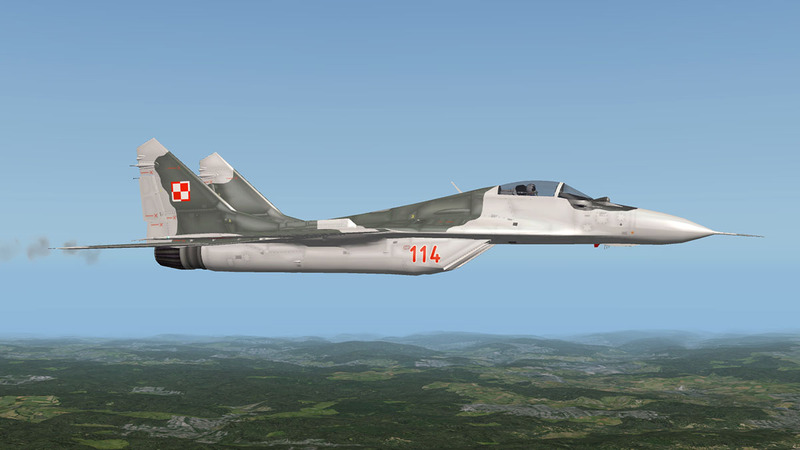 The MiG-29 has a ferry range of 1,500 km without external fuel tanks, and 2,100 km with one external tank. 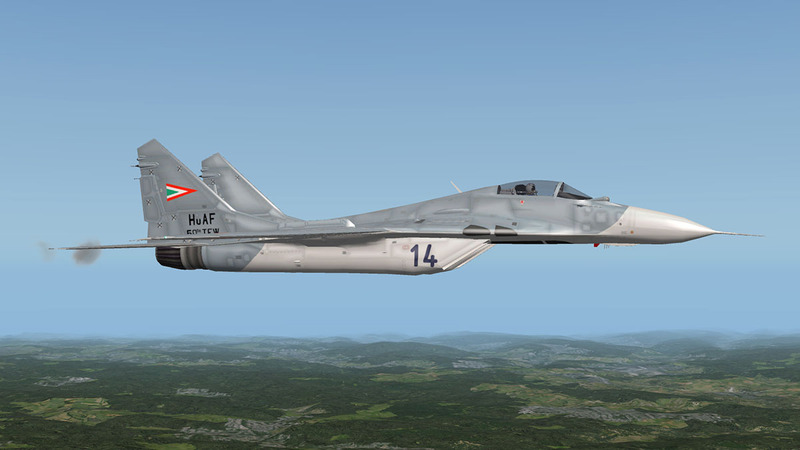 The internal fuel capacity of the original MiG-29B is 4,365 litres distributed between six internal fuel tanks, four in the fuselage and one in each wing. First Flight was on the 6 October 1977, with entry into service in July 1983. 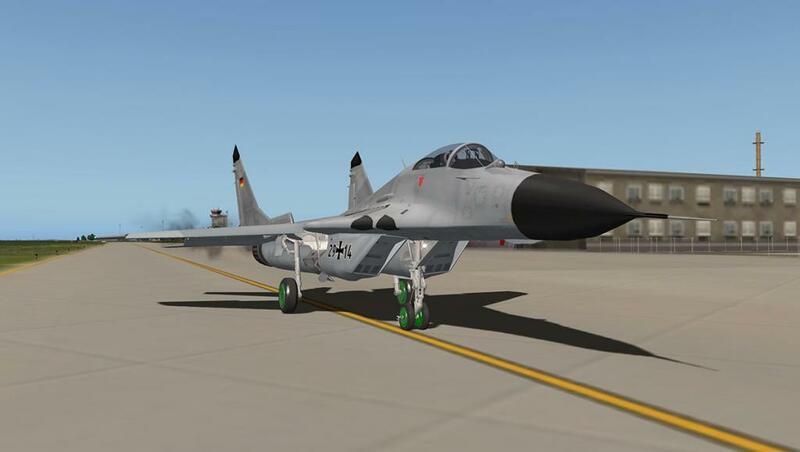 Most MiG-29s have now been refurnished as multirole fighters capable of performing a number of different operations, and are commonly outfitted to use a range of air-to-surface armaments and precision munitions. The aircraft was exported to 32 operators with India being the largest non-block country with 87 aircraft. The Luftwaffe inherited 24 aircraft from its reunited East-German cousin after the end of the Cold War. 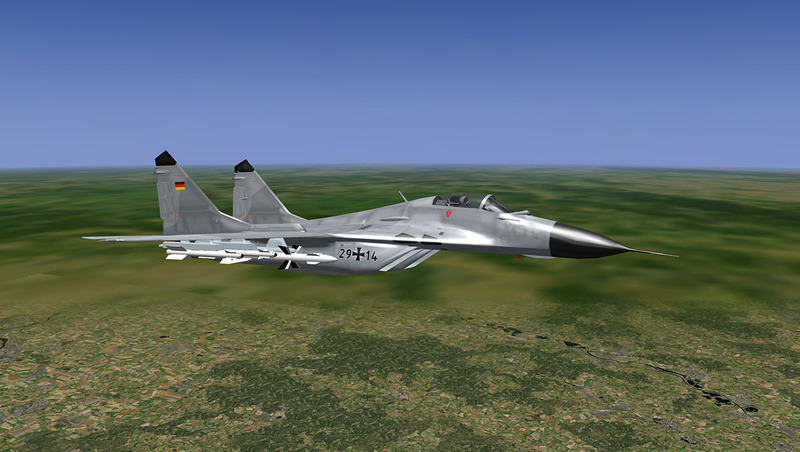 Two Mig-29's famously crashed while doing an air display at 1993 Royal International Air Tattoo (UK), Both pilots survived. 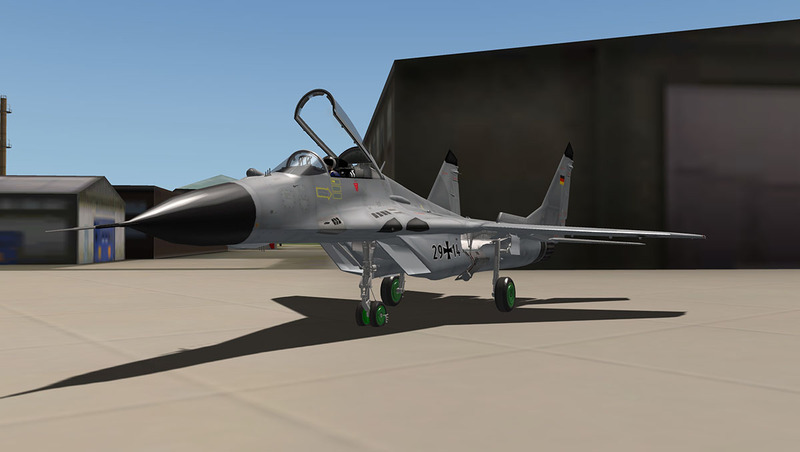 The Mig-29 is still in production and has yet to be replaced. The Sukhoi PAK FA is still a stillborn project and another is the MiG 1.44 demonstrator which failed in the 1990s. 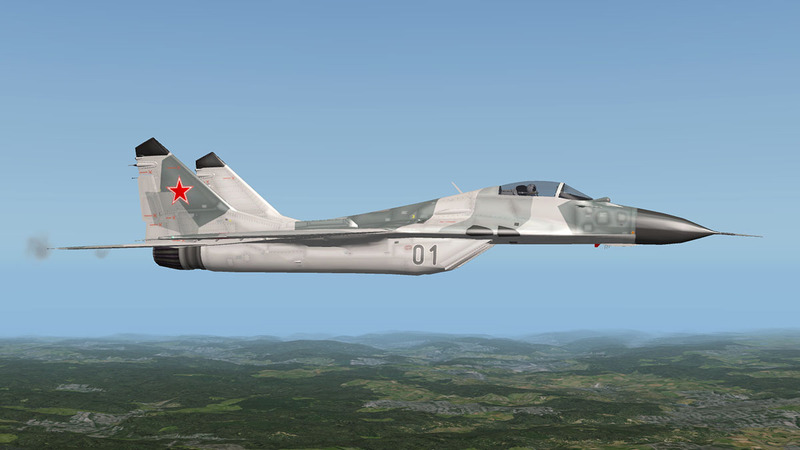 Over 1600 Mig-29's in various variants have been produced. 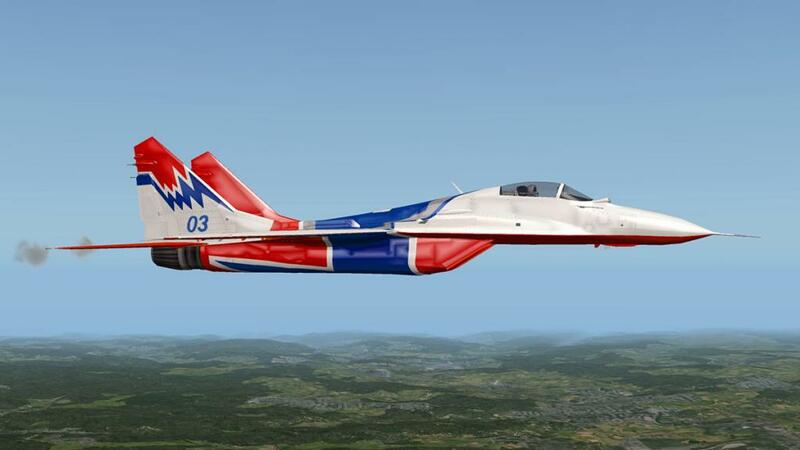 Flown here is the updated 1.5 version of the MiG-29 Fulcrum by Colimata. 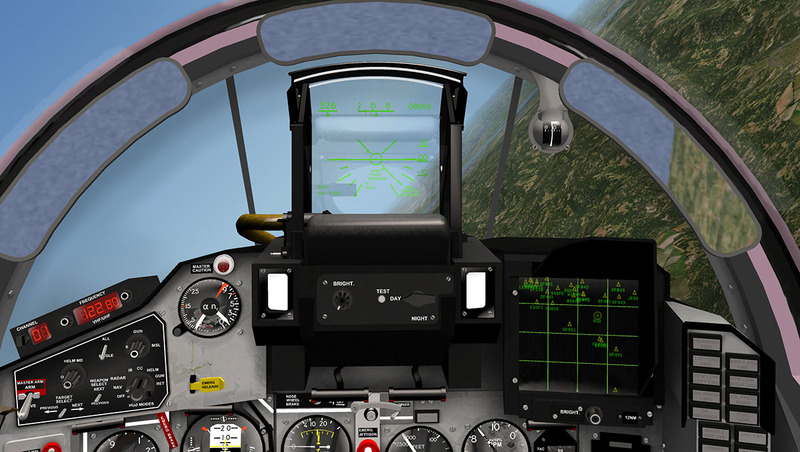 This release was in May 2013 and includes a completely redesigned Instrument panel(s), New low speed flight model, AoA (Angle of Attack) protection, Breathing cockpit sounds, New Flaps, New normal (exterior) maps, Hideable stick, XP10 lighting and Autopilot features and forward HUD. 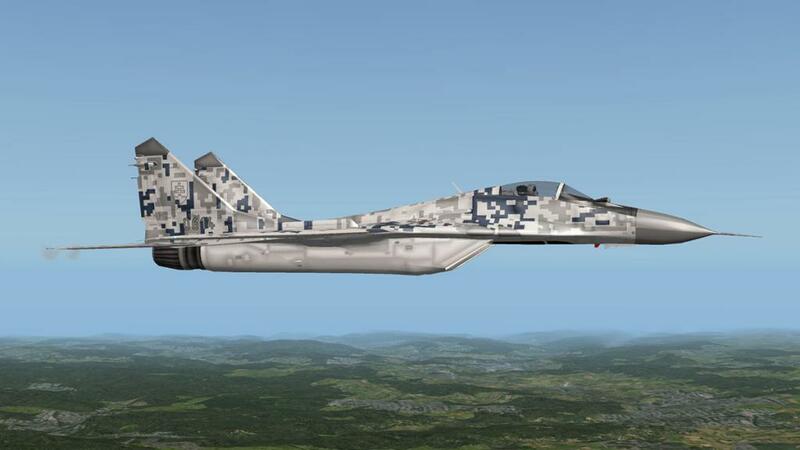 The extensive design by Colimata is very good, with the basic shape and details of the Mig-29 in design is first rate. 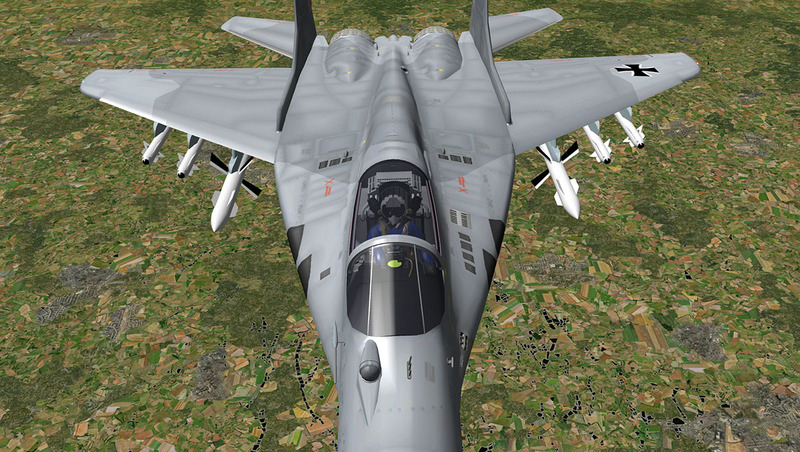 These Fourth Gen aircraft are extremely beautiful aircraft for the deadly killers they are with their pronounced high-arcing cockpit to the low wide twin-set engine and twin-tail layout. 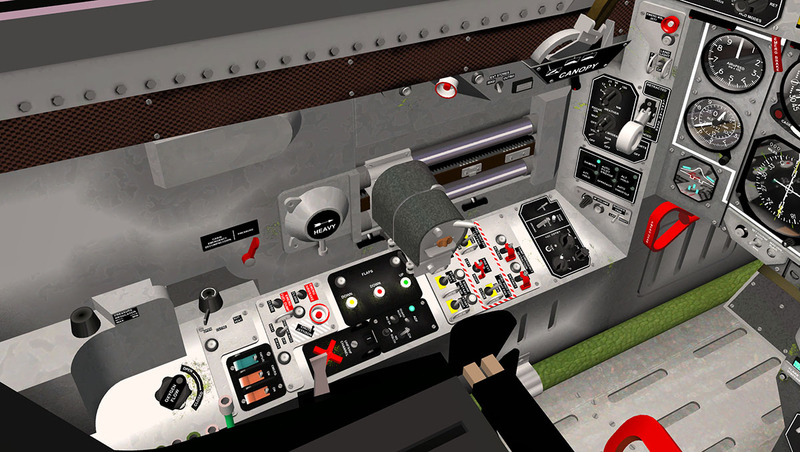 Close up inspection shows great detail but many items (all over the aircraft) are untextured or use the basic 3d colouring to cover the item. 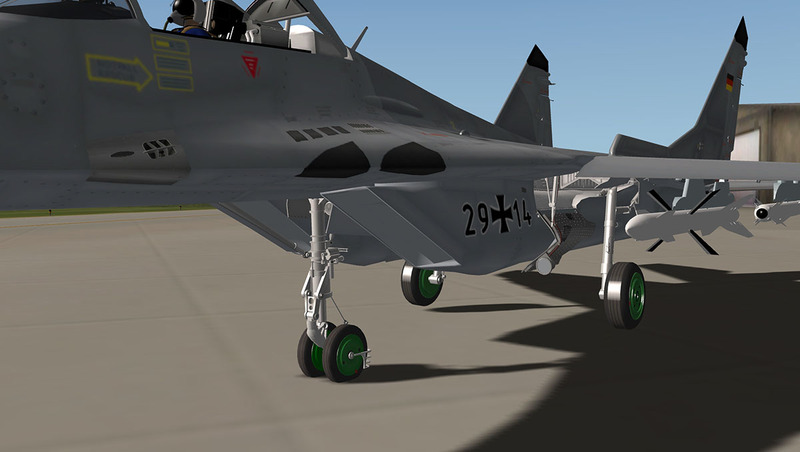 Like the Landing Gear (front and main) are very well done but here are still in their 3d light Grey. But as noted the detailing is very good with piping and struts carefully modeled. The tyres are excellent close up but boxy at a distance, the green inner wheels are however excellent and very Russian in-design. The rear engine outlets have also great 3d design inside and the cones contracting actions (when putting the power down) work with great authenticity. The panels, Wings and tails are all very good with great detailing, but you will need a high texture setting to get the most out of them, and the overall finish is very glossy. 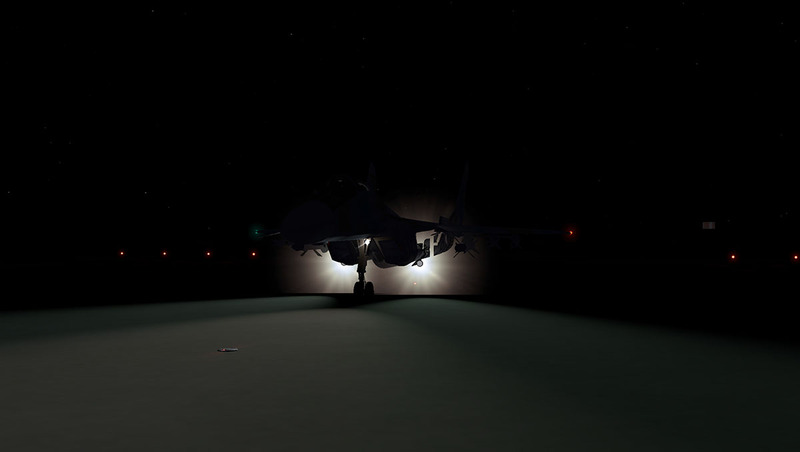 Fighter interceptors don't like the sun-shining off them for the obvious reasons... It can get you killed. 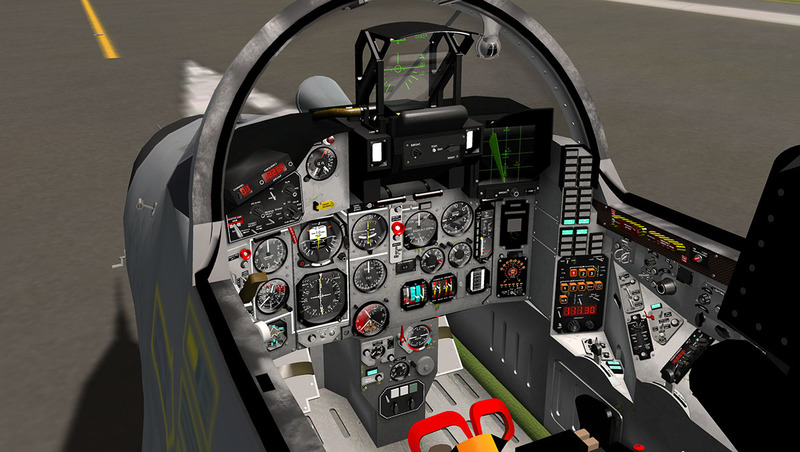 The Mig-29 comes with a Virtual 3d cockpit (VC) that is extensive in layout. The opening canopy has three actions : Open, Taxi and Jettison. 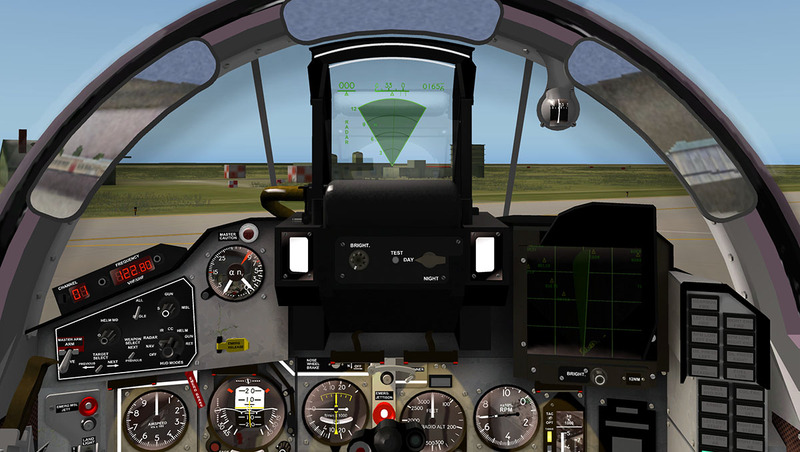 Sitting inside the aircraft and your view is dominated by the huge HUD (Head Up Display). The unit is highly configurable and effective with 8 modes to chose from : Nav mode, Radar Mode, Infrared Mode, Close Combat Mode, Helm Mode, Gun Mode, Recticle Mode and forward HUD that puts you directly into the action. The cockpit is fully functional but not very Russian. All instrument detailing is in English, It certainly helps enormously in helping you to find your way around the cockpit items, but you wish it was a little more Cyrillic in operation for authenticity. At first glace it looks quite complicated but it isn't. Most functions are grouped together in panels and if you learn where the panels are located then they are quite easy to find. This is also helped by the very prominent set Checklist right in front of you. 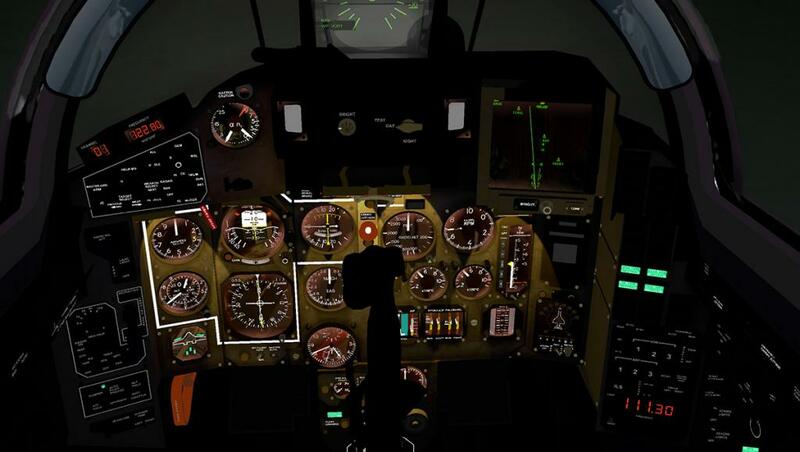 It is tabbed and very easy to sign off each item as you swing left or right setting up the aircraft. One run through the checklist and I was ready for flight, when done just click it out of sight... Brilliant. 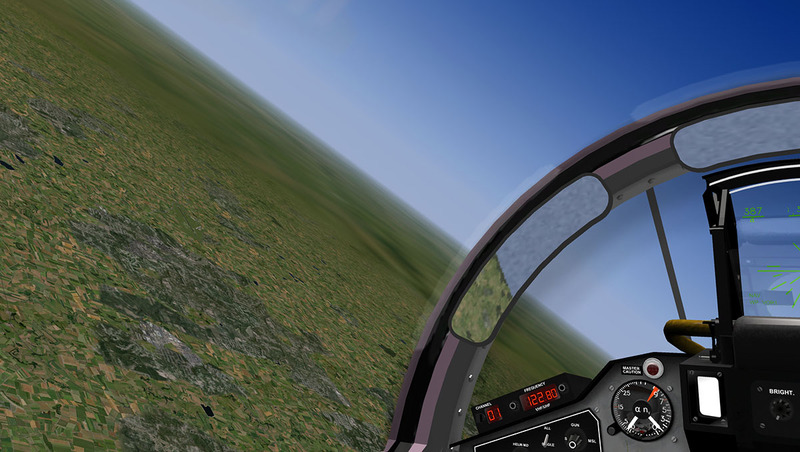 You can set up a flightplan with the pop-up standard Xplane fms. This again is clickable on or off in your view, a clickable GPS data screen is also available. The main aircraft (standard six) instruments are organised within a white line to separate them from the complex set of dials set out on the main forward panel. Two interesting instruments are the AoA and G indicator and the TAS Mach gauge. both are invaluable at high speed and with the AoA at low speeds. 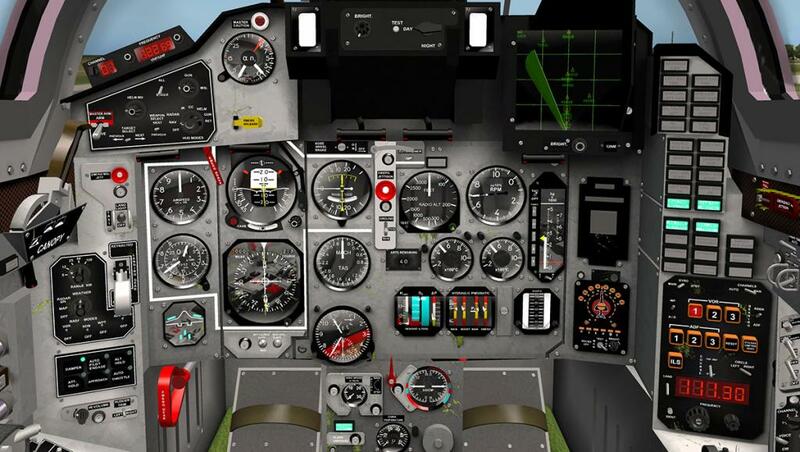 The aircraft is very sensitive to CoG (Centre of Gravity) settings and you need to make sure the setting is correct to get the best supersonic cruise and at takeoff and landing balances. As the machine does not have flight protection (fly-by-wire) you need a gauge to note the limits of the aircraft to avoid (dangerous) stalls and spins. The Panel is also dominated by the RADAR DISPLAY - NAV SCREEN. 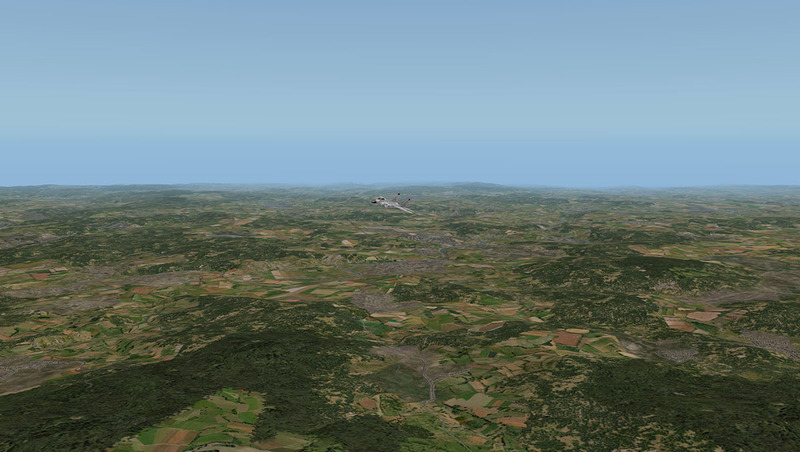 This display provides Nav and weather Information, and you can select map+radar+weather - map + radar - map (Nav). The visual was confusing at first but then I worked out that the aircraft is situated at the bottom of the screen and not at the centre-cross line(s) and after that it was easy. 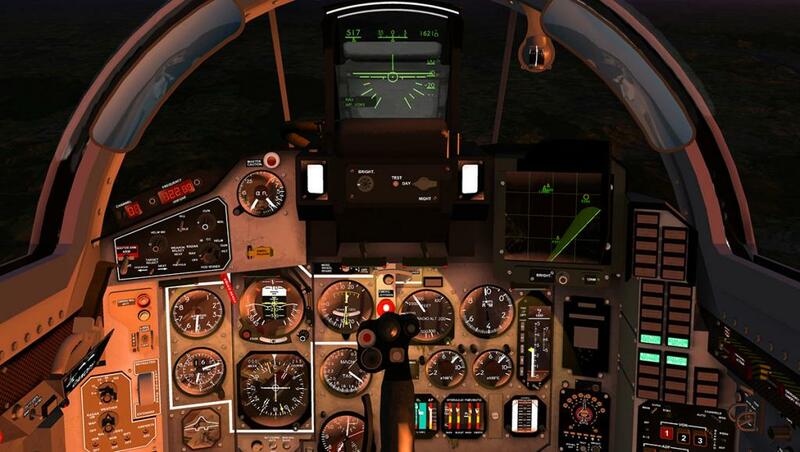 Standard Xplane weather and Nav points are used. 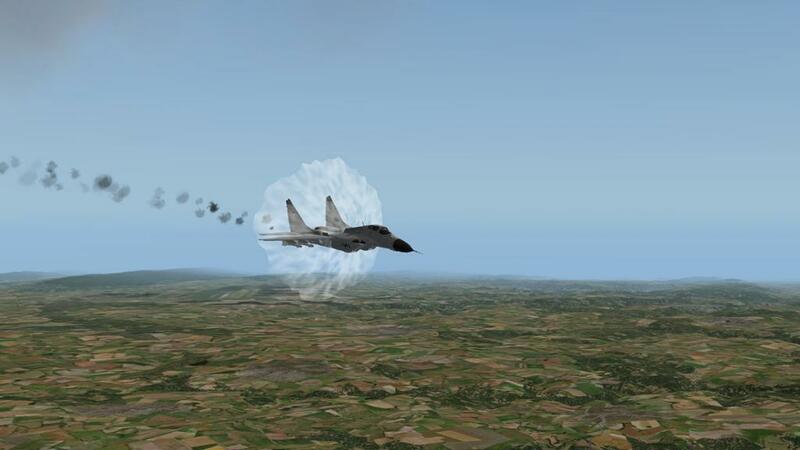 The radar is great when hunting down a foe as it appears in orange if you use the Xplane Aircraft & Situations "Chase" feature, using the radar and the RWR Radar warning receiver that points out the direction to the enemy. 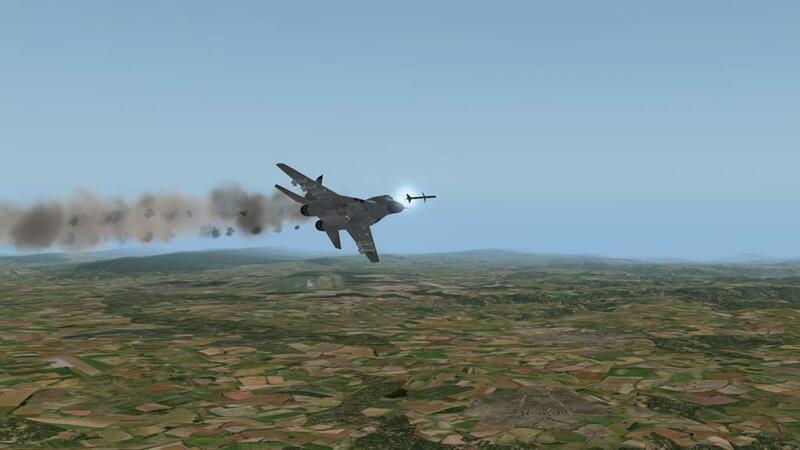 The good news is your aircraft is far faster and more deadly than the poor foe you are chasing. The panel here is so called dirty? and the textures were upgraded in v1.5. 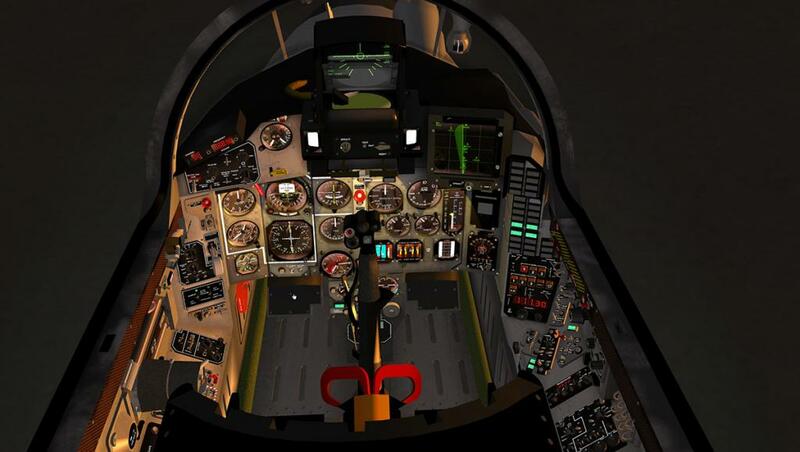 A look at a real cockpit of a Mig-29 and it looks almost pristine. You have the option to put in the choice of "nearly clean - no dirt - weaker spots" textures if you want them. 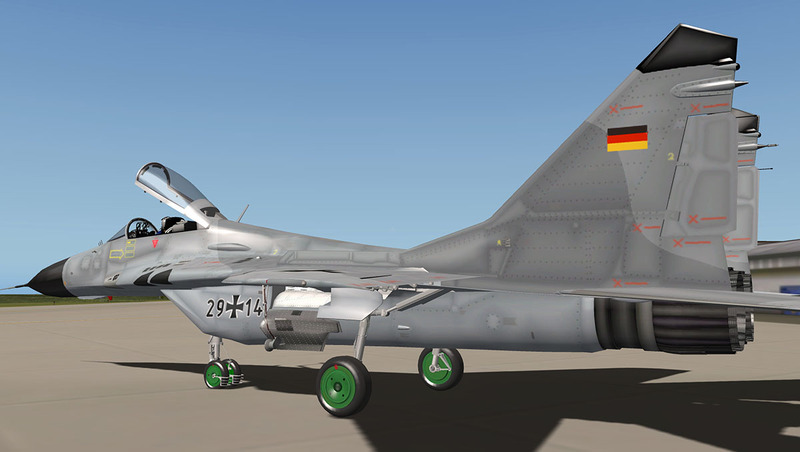 There are two aircraft versions to choose from, Standard and Armed (both Xp9.7 and Xp10 compatible). 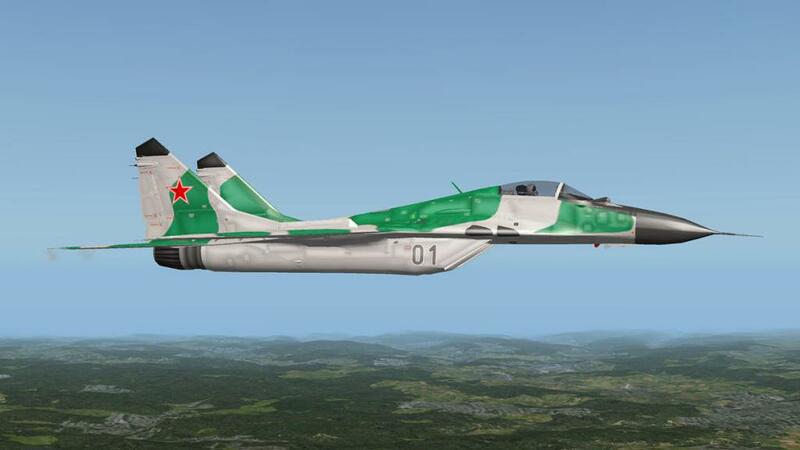 And both are flown here as the standard is basically a clean aircraft and the armed is loaded to the teeth. 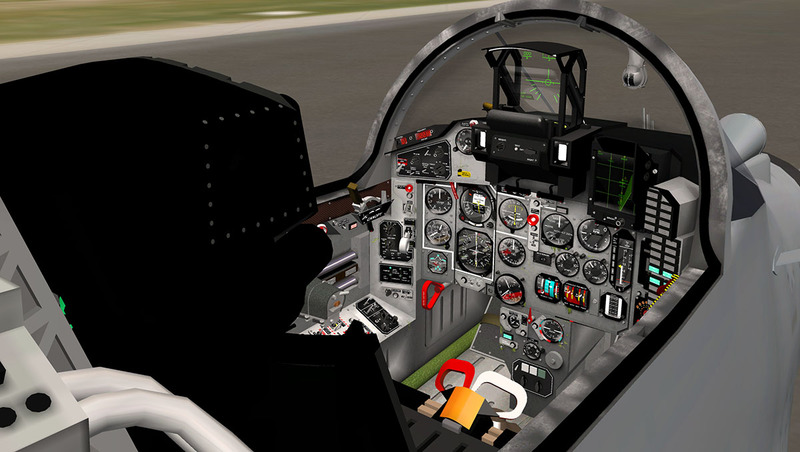 There is another two versions (lite) for X-plane 9&10 that uses less frame-rate and a standard 2d cockpit layout. I never had any frame-rate issues with the 3d cockpit version and there is a render setup panel available in the manual. 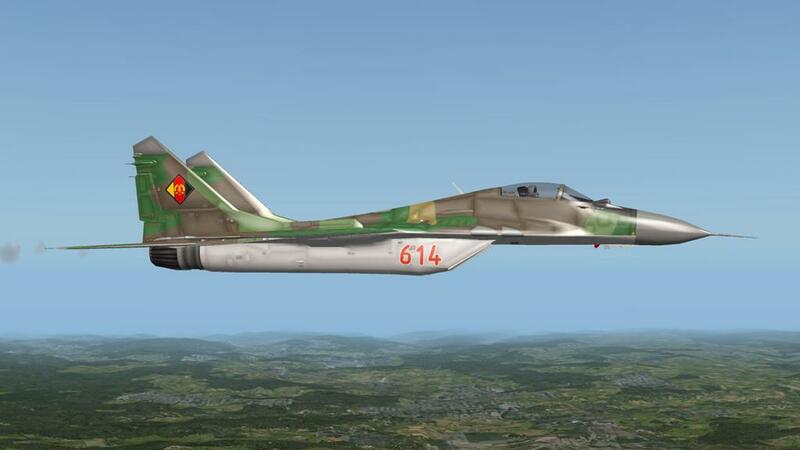 The Armed version carries 4 Vympel R-73 / AA-11 "Archer" Infer guided missiles and 2 Vympel R-27 / AA-10 "Alamo" radar guilded (fire and forget) missiles. 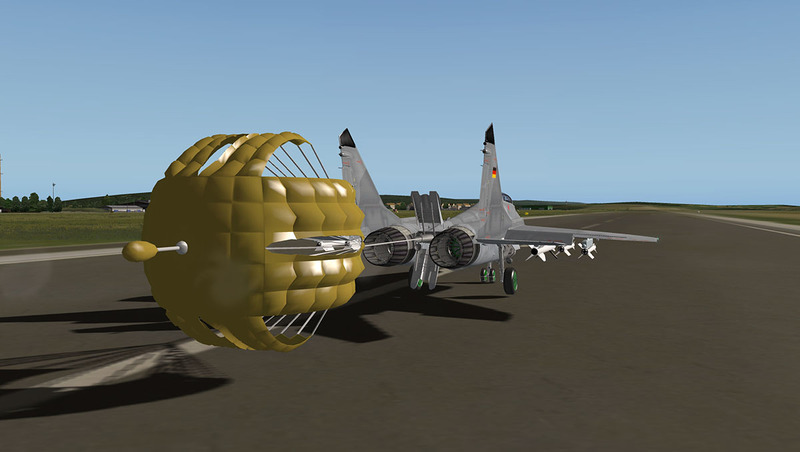 External fuel tank (dropable) is 1.500 lit. 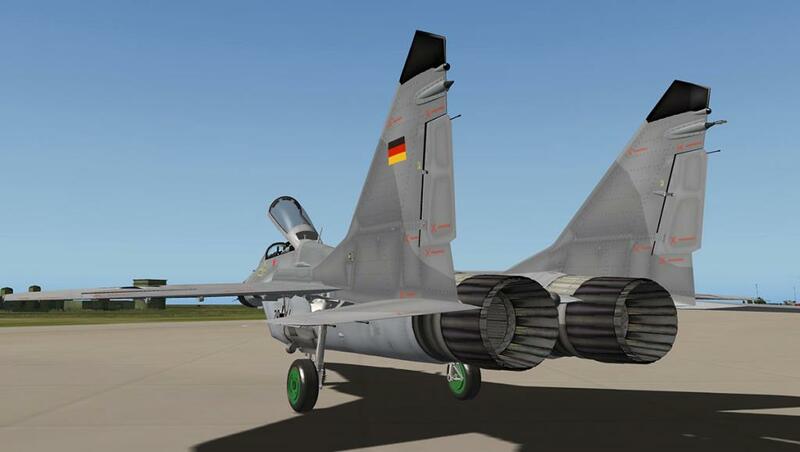 The standard GSh-30 30mm 2,000 round cannon is on both aircraft. Engines running the taxi speed is very easy but slow. You keep the speed low to counter the braking, in that to touch your brake handle and the aircraft will simply bounce badly (high) on the nose. I noticed in the thread notes to adjust you CoG to counter this effect. Otherwise the aircraft will trundle nicely all around the airport, unless on hard turning when the front wheel does not completely turn inline with the radius?... Notice the Engine ramps are down and the flaps open above the intakes to stop dirt being inserted in the low lying intakes. On power up they automatically open up for the required bigger chunks of air. You don't need any flap for takeoff, Someone noted on the thread that all Fulcrum's use flap, But I didn't need it on a light aircraft (No armaments), But it helped if you are very heavy. 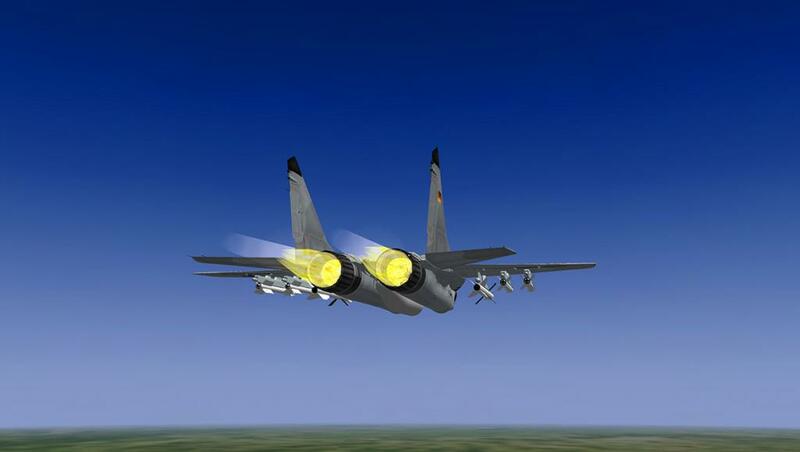 You don't use your afterburners either as that is just wasting precious fuel that is required later to go supersonic. Just under the afterburner ignition is enough to make you go skywards very quickly. 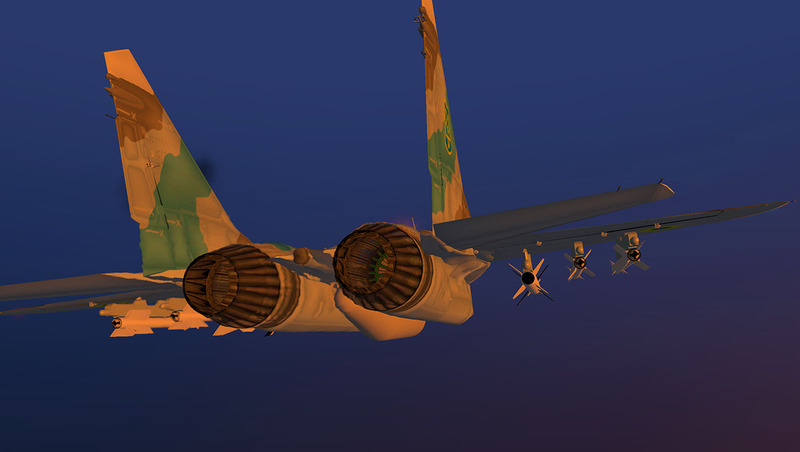 The aircraft is very natural in the air. You can position it easily with lovely sweeping turns (but watch that turn stall if you go too slow). The Mig-29 powers quickly through the air. There are 3 large rearward mirrors above you that can be distracting. Going low and fast is easy with the stick, and you soon get into the flow of the aircraft and find yourself into a nice groove. There is the option of the Forward HUD that puts outside the front of the aircraft for extreme low runs that can be exhilarating if you love that sort of thing (yes I do!). 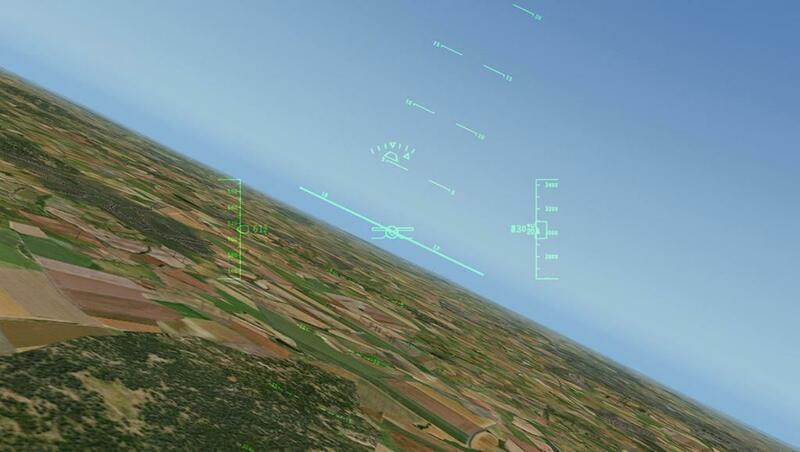 In fact all the different variations of the HUD system are excellent for flying or killing. The control surfaces are excellent and the leading edges will pop out for you to get those tight powered turns to the foe. So this is a supremely nice aircraft to fly, the protected fly-by-wire aircraft can certainly go more closer to the limits and are more agile. But this aircraft is a more natural machine and it flies that way, It could be noted today as a pilots aircraft and not a technical tour-de-force. 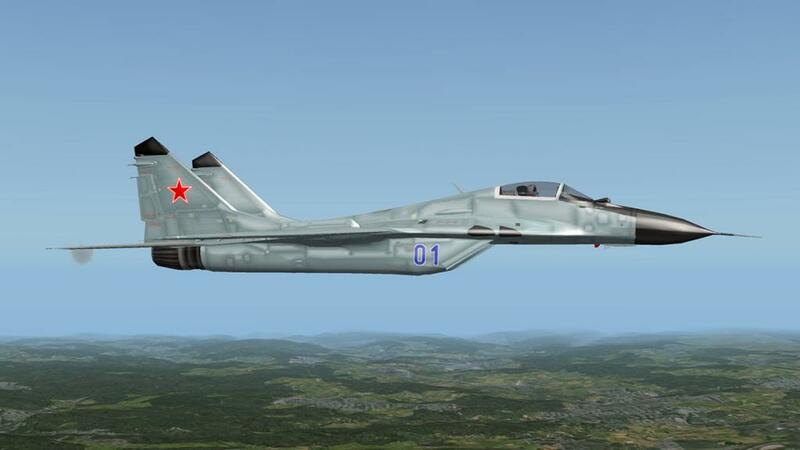 You can certainly see how deadly the Mig-29 aircraft could be in the right capable hands. It is best to set up your Joystick as a trigger to fire the cannon (I usually have reverse thrust set on the joystick trigger), and the space bar is used to fire the missiles in sequence. A sound barrier graphic appears as you hit the .m number and vortices appear when you hit certain speeds in turns or steep climbs. You can like this sort of feature or not. For me it depends on how well they are done and here they are middle of the road. One clever feature is the eject. Blow the canopy and then pull the red eject handles and you are out of the aircraft, which then disappears into the distance (arrowed). 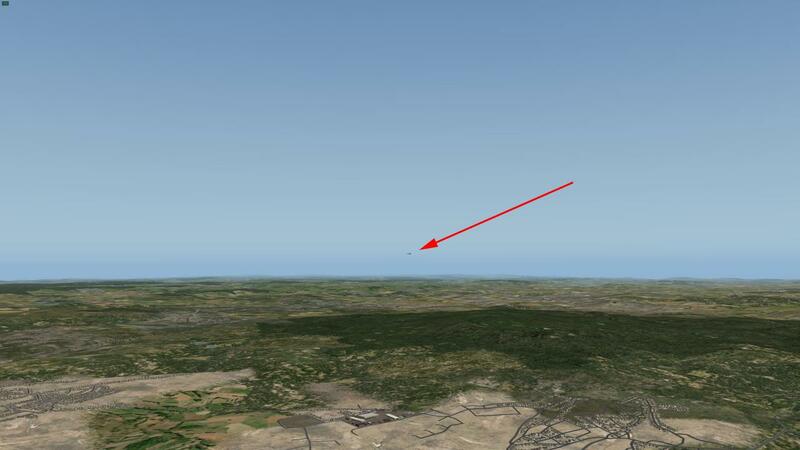 You then swing slowly down to earth, only a restart will give you your aircraft back again. You can also learn the "Cobra". 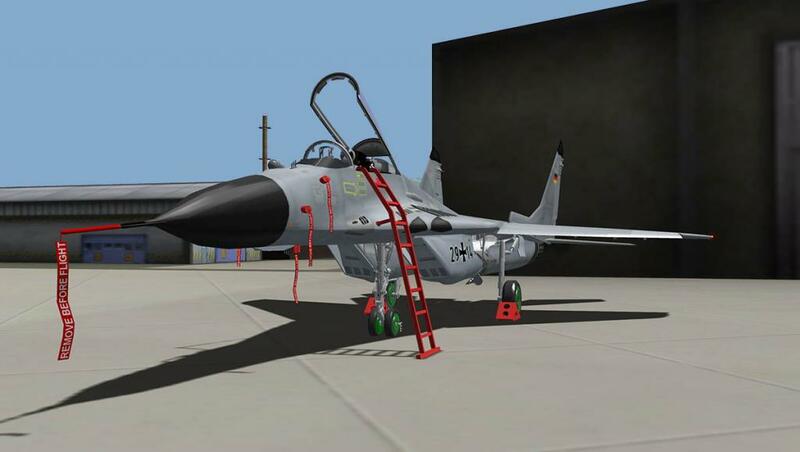 (pdf included) that is a stall manoeuvre that takes skill and a steady hand to complete - It virtually sits the aircraft on its tail. 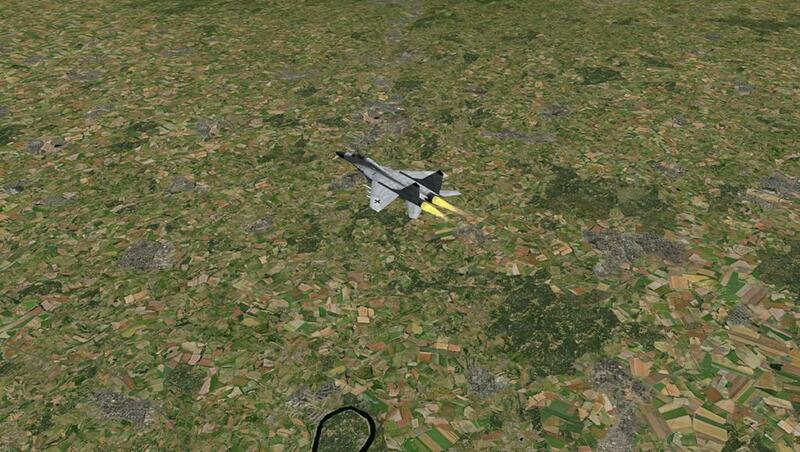 To get into the best speed zone I flew up to 37,000 feet and then hit the afterburner to go supersonic. You need your CoG to be pretty good to get the balance right to get to the Outer Limits. But you are now seriously moving across the landscape. 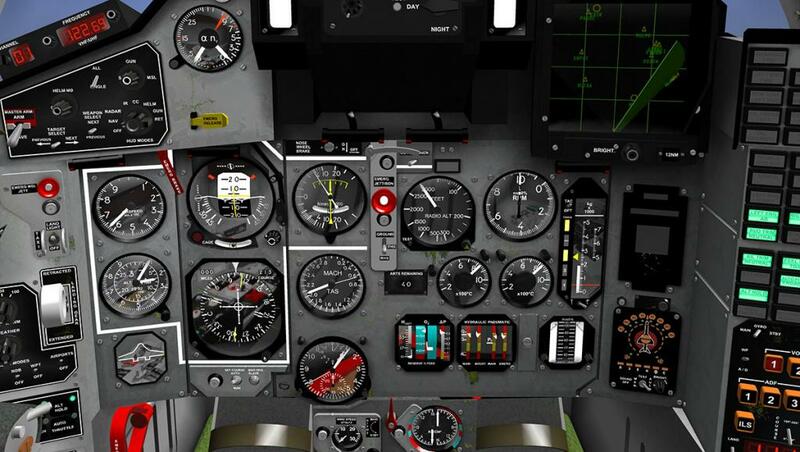 Using the AP is the best way to hold the aircraft steady at this speed or getting to the higher .M numbers as any slight wobble suddenly becomes a serious wobble and the aircraft feels very vulnerable under you. You can fly by hand of course but you really need to hold that stick steady. 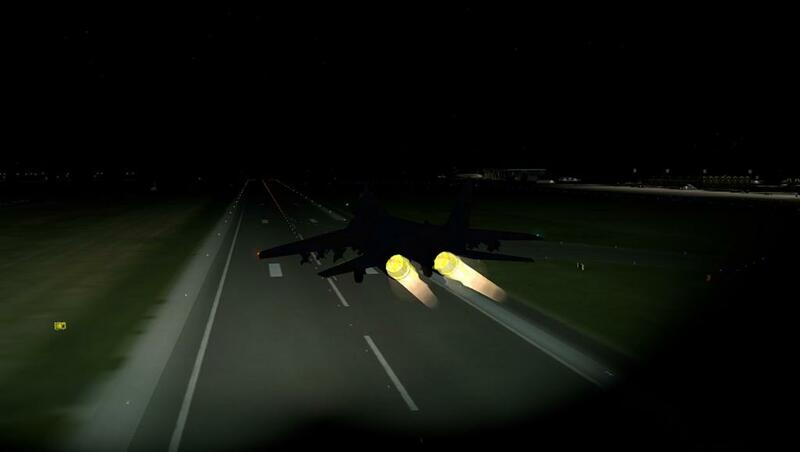 Using the afterburners can use your fuel at an astounding rate so you have to conserve fuel to get home or use the speed wisely. Turning off the afterburners and your speed quickly drops under the .M. You can turn now, but only in a very wide arc. Pull the throttle to zero and you are still heading forward like a bullet. The speed is dropping but you will be half way across Europe or into Russia before you can get to a lower altitude. The air-brake is in two settings and the first will get your nose down. In fact the air-brake is your best friend on this aircraft because at even lower speeds in neutral the aircraft holds a lot of speed. 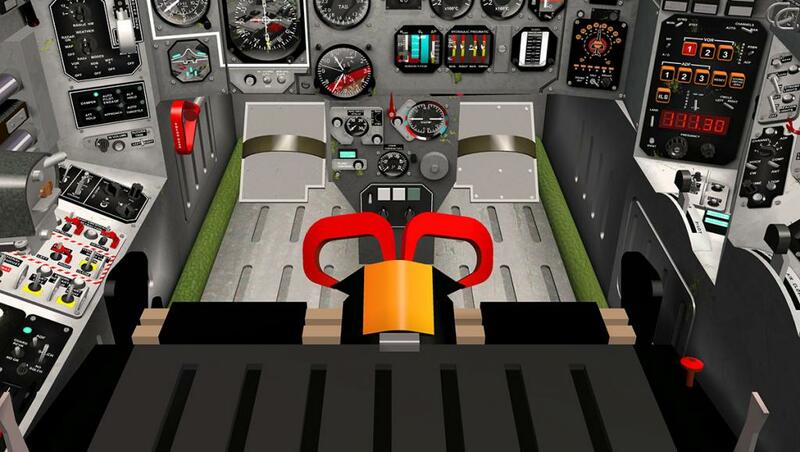 To get the wheels down and use the single flap setting for landing you need to use the air-brake in both settings in popping it up and down, It is like in trying to brake a runaway train. The air-brake is highly effective so now down on the lower speeds and you have to be careful not to stall your speed, again I have the air-brakes set up on my throttle system buttons and that works very well. Colimata has done a lot of work to get the lower speeds close to the numbers and the aircraft feels stable on approach if you get the speeds just right. Once on the runway you have to slow the aircraft down. 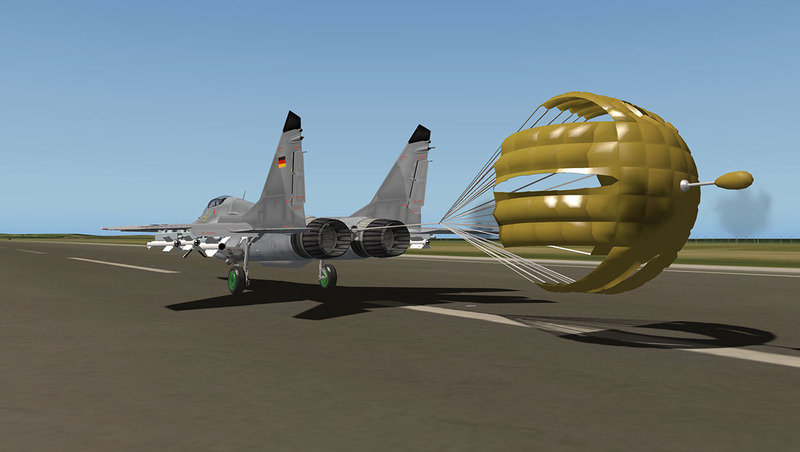 Colimata has recreated the parachute. It still works with the default Xplane keyboard setting of the default parachute of which I approve of for ease of use. Once you have run off all the speed then ditch the parachute and the mission is over. The cockpit lighting for panel and overhead is fully adjustable. But there is a marked difference between using the HDR feature on or off. With HDR off you can't get the main panel to lower the backlight, with HDR "on" (third image) then that lower style spot lighting is available. Without doubt with the HDR function switched on the lighting is much more effective and the good news is it that it doesn't come at too much of a frame-rate kill. Overall the cockpit lighting is excellent. On the aircraft with HDR "on" the spots are behind the lighting fixtures. On the standard mode you have the small blobs of light. Taking off (or landing) in HDR and the lighting is excellent with three separate spots of broad lighting. HDR 'on" and the rear afterburners and the rear exhaust gases look great and authentic with the HDR shimmer effect. The Mikoyan MiG-29 by Colimata is an exciting machine, certainly if you like going very, very fast. For carrying out missions or shooting at other aircraft it is like its real counterpart in being highly effective. Overall the detailing is excellent, but I would like just one more version to clear up a few odds and ends. 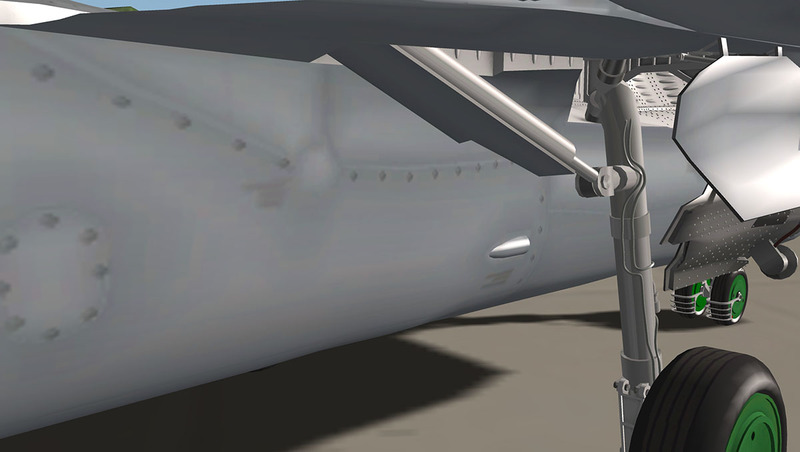 The landing gear needs textures (and the steering fixed), and so does the inside of the front engine intakes. 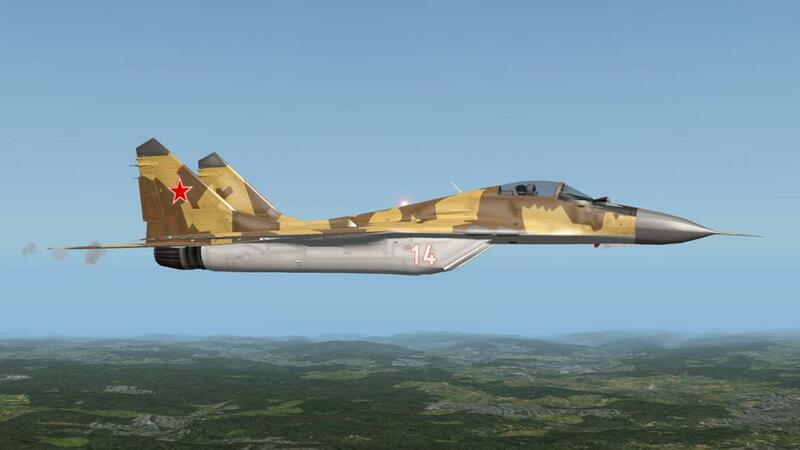 The Mig is too glossy for me, but that is a personal choice. 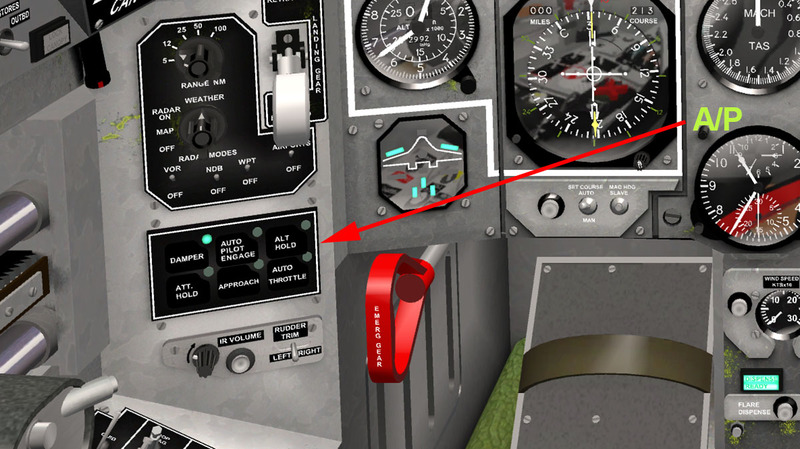 A few more slightly reflective details of texture work (oxygen gauge/Hydraulic - Pneu gauge is at odds with the rest of the panel in quality) in the cockpit with some Cyrillic lettering would make it perfect. And even again it still needs to even a little more dirty and used. I'm not to crazy about the yellow afterburner glow either... it looks too average for an aircraft of this scale and price. In a features wish list it could use an GPU and fuel tanker. That aside you get really great value and an amazing flying machine for your money. 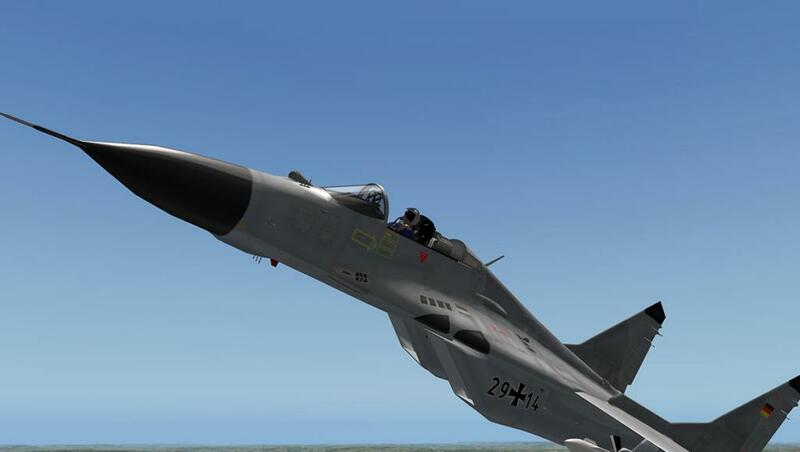 The cockpit is fully functional and if you feel like topping it all you can then eject yourself out of the aircraft. 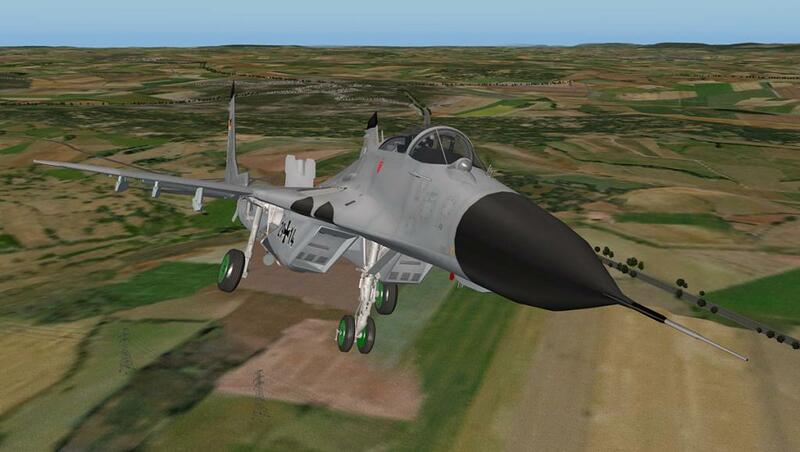 Four versions and in both Xp9 and Xp10 is available for "standard" and "lite" aircraft, and you have options on normal image maps and different panel textures. Sounds are all round excellent (except for the annoying breathing) and are created by Artymowicz Aviation and the 14 liveries (listed below) cover almost every operator and an acrobatic version. 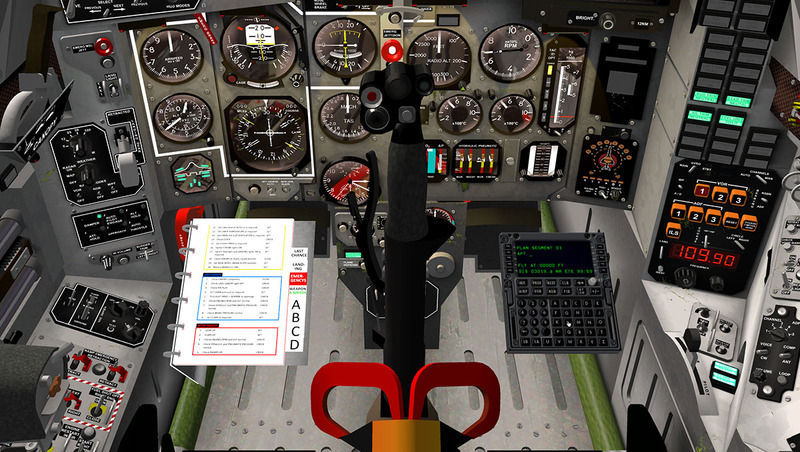 The checklist is a great feature in setting up the aircraft ready for flight and the Manual (In Engilsh & German) is very comprehensive and easy to follow. 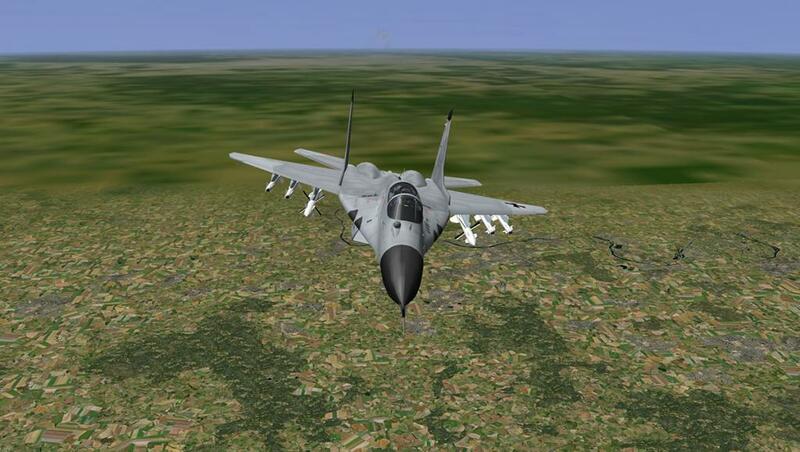 Like many aircraft it will take time to learn the Fulcrum in depth to get the very best out of its flying abilities. It is easy to learn as already noted, but you will need time to be really as one with the machine. The more time you have on the airframe then the more you come to like it. Setting up missions will allow you use the aircraft to its full potential and certainly in the high-speed seek and destroy mode. 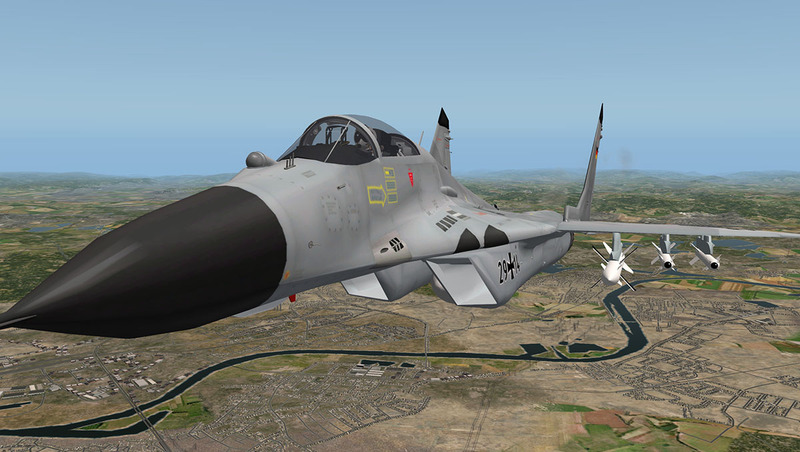 Overall the Mig-29 is an amazing aircraft. 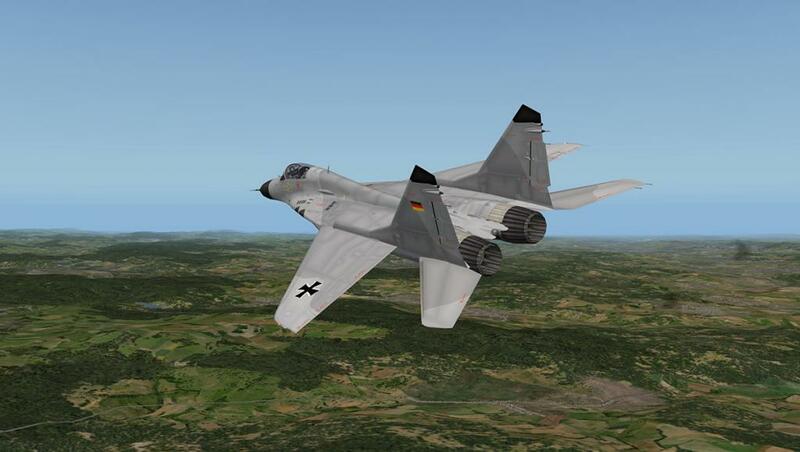 And as good as any interceptor you can get in Xplane. 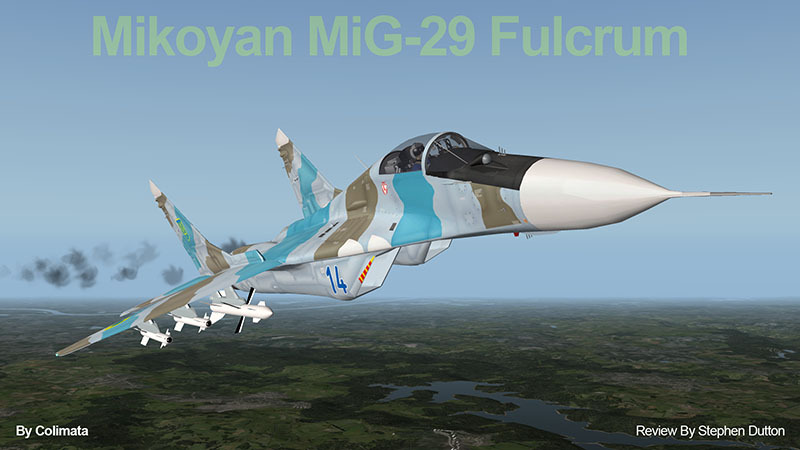 Price is US$24.95 At the point of press of this review the Mig-29 Fulcrum is on sale at only US$19.95 - Which is amazing value! Installation : Download is 301.80mb, and installation size in your "Fighters" Folder is 446.30mb. 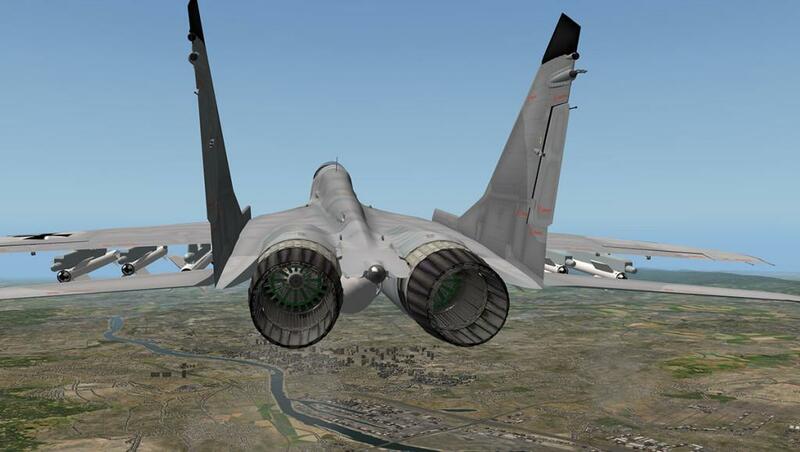 It is certainly recommended to set your key and Joystick settings for flying a fighter in - Cannon, missile and chaff. I also recommend to have the Air-brake function set at your fingertips for ease of use and for easy control of the speed. All the settings required are very well documented in the excellent manual. 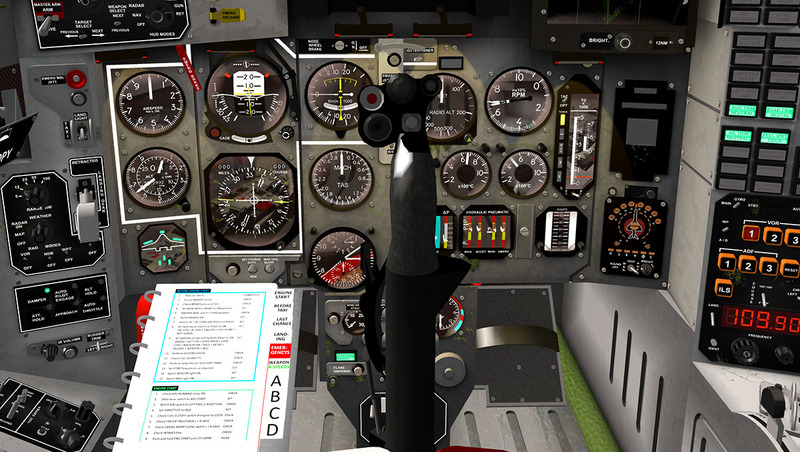 As far as cockpit ladder, try clicking around on the left rim of cockpit. It was there in version 1. And you didn't mention the look-down shoot-down and helmet mounted hud? Or the proper sweeping radar screen?